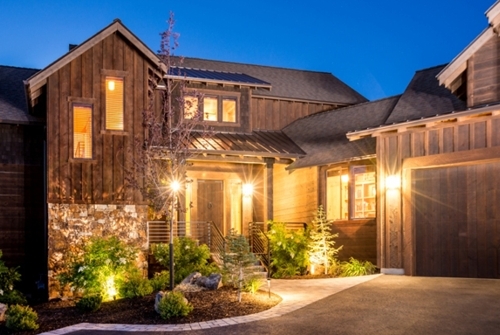 Montana Timber Products ranchwood was the product of choice chosen by the design team and owners for this custom residence in Brasada Ranch in Powell Butte, Oregon. The designer and owner of this new custom home required a rustic siding product that was refined, aesthetically appealing and provided a reliable warranty. The product needed to meet the architectural guidelines of the Resort, be cost competitive and pre-finished. Ranchwood Door, 1×8 Ship Lap Siding, 2×6 Trim Material.